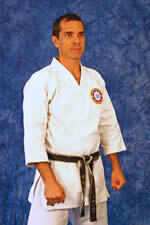 Did you ever have a student struggle when moving from one shiko dachi (sumo stance) to another? or straightening of the legs? You and I both know you can do more “line work” up and down the tatami, drilling the stepping over and over and over again. That’s one way to learn it. However, it’s highly repetitive and often very boring. It’s also highly unimaginative, and a low level way to teach if that’s all you do. 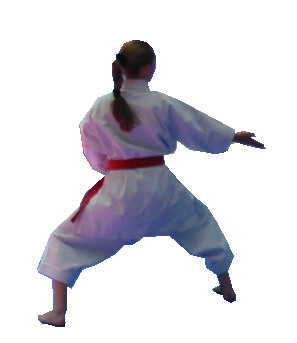 Here’s a quick exercise to help your students move from one shiko dachi to the next. This exercise challenges them mentally and also works different angles. It’s also completely random, which is cool because fighting is dynamic – you never know which way you might have to move. So this drill helps with learning these skills. It’s based on the principle of “knees together, knees apart”. That means with each step you push off with one foot to transfer your weight onto the other bringing your knees together and keeping the hips at the same height. Then push with your supporting foot into the new stance as you push your knees apart. I like to think of it like a fan opening or closing, or an accordion compressing and expanding. Start by having your students spread out on the floor in random positions. You as the instructor will count to ten and on each count your students must make a new sumo stance as quickly and as directly as they can, in any direction they want with whichever leg they choose. When first learning the exercise, have your students place their hands on their hips, but as they become more comfortable have them make a lower block (gedan barai) or similar technique with each step. Of course higher grades should be able to do this immediately. Students must keep up with the count! And on each 10th count have them kiai as they make their technique. Start off with 30 steps, then rest for a few seconds, revise some key points and proceed to the next “round”. Repeat 3 times as a warm up drill, increasing the speed of the count with each. Or count really slowly as an endurance exercise for the end of class! For more skill building martial arts exercises that will add new life to your classes be sure to check out my 125 Dynamite Drills here.